I recently purchased heart doilies from the Dollar Tree and did a tutorial on Heart Doily Painting. 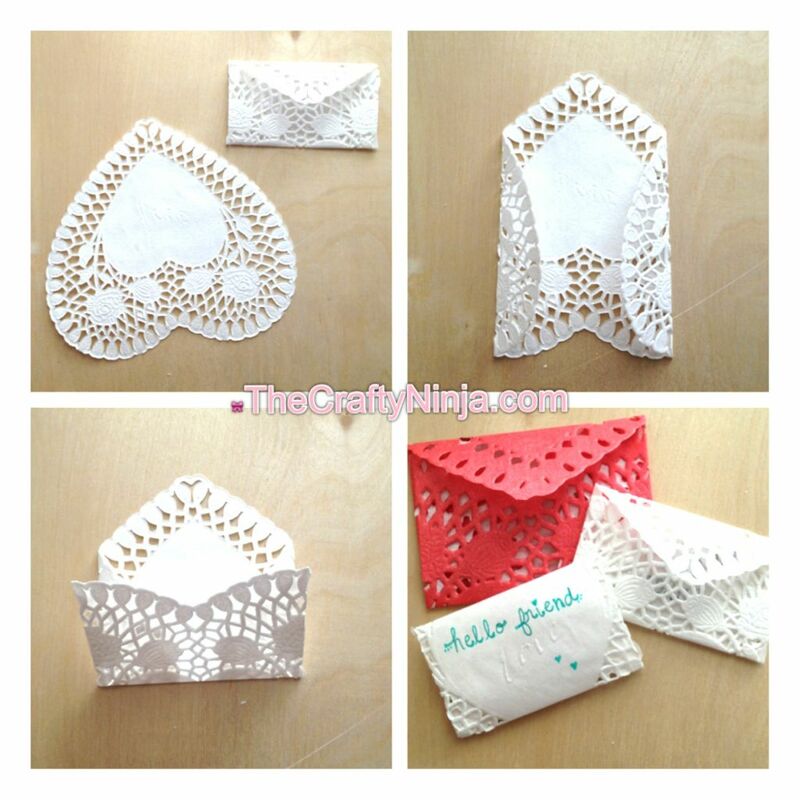 Here is another DIY craft tutorial using the heart doilies to create Heart Doily Envelopes. Turn the heart upside down. Fold the sides inward. Fold the bottom up. Fold the flap down. I’m currently practicing my penmanship with my new 0.3mm Staedtler pens I purchased.